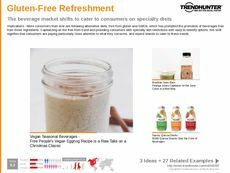 Find Better Ideas, Faster ® with a custom diet soda trend report, our PRO Dashboard and 80+ categories of premium trend reports. The Diet Soda Report highlights the ever-increasing concern for healthy eating and lifestyles, specifically among consumer goods like beverages and soda. 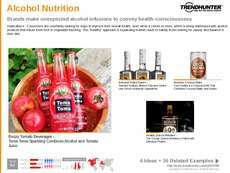 Recognizing the growing demand and appeal for beverages that focus on a better-for-you attitude, Trend Hunter's content and market scope highlights the latest in emerging diet trends in the beverage landscape. 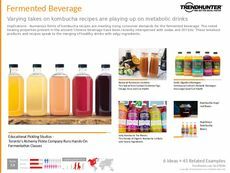 Ranging in scope from unique beverage ingredients to packaging and branding tactics that convey a healthy aesthetic, the Diet Soda Report will have you immersed in all things health and beverage related. 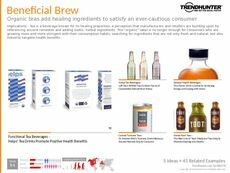 The Diet Soda Report is ideal for CPG companies and big-name brands that are looking to find out the latest on changing attitudes in health and wellness, as well as how these are being integrated and marketed in the beverage space. 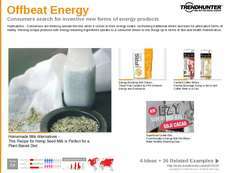 Featuring the latest in diet beverages and health drinks, the Diet Soda Report highlights the continuously evolving food and beverage landscape and how health and wellness continues to be a growing consumer concern within that industry.